The 3-sided fireplace of this 3 bedroom plus den former model graces a vaulted living room that is well-lit with an 8’ tall patio door and a formal dining room with arched windows. 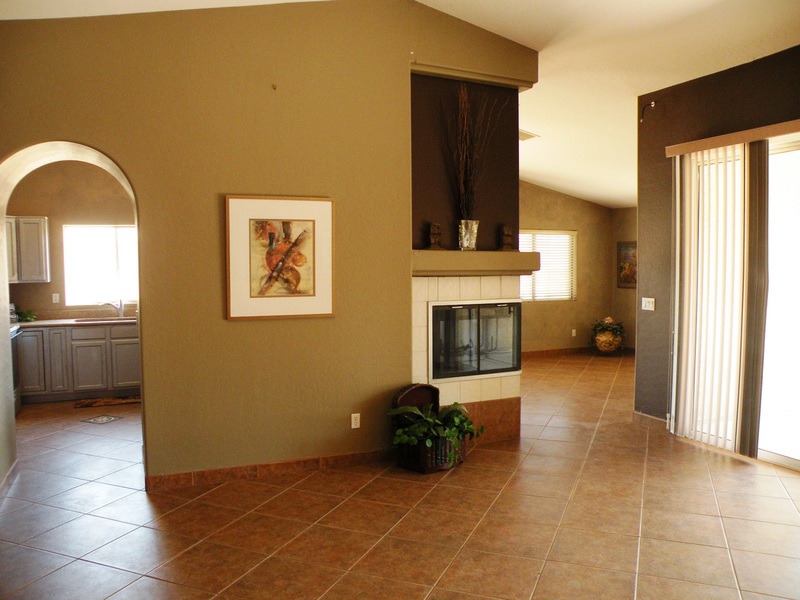 There’s also a Great Room-Kitchen with Breakfast Bar, Dining Nook and large Family Room. The kitchen offers granite tops, a stainless microwave, large pantry and the charm of the 3-way fireplace. The Master Suite is also large with a door to the patio and a gracious bath suite that offers a walk-in shower, deep soaking tub, double vanities with a sit-down makeup counter, plus a large walk-in closet. 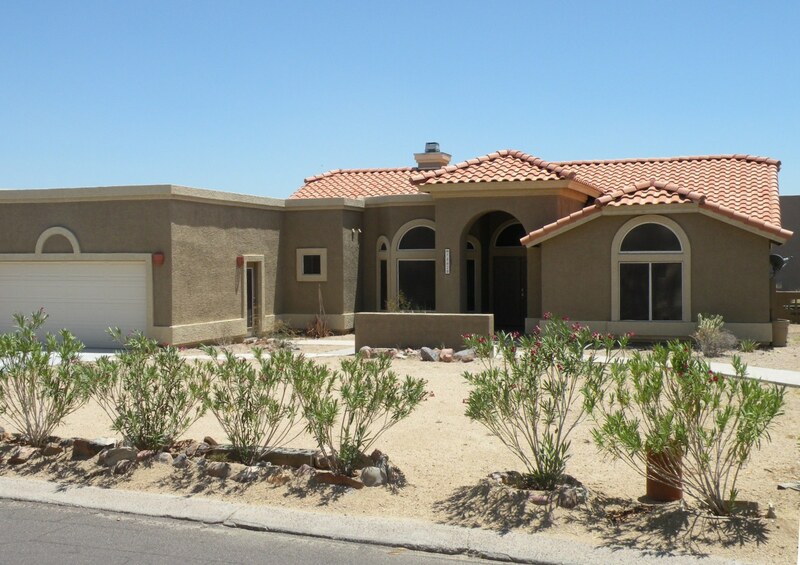 Two other large bedrooms and a large guest bath make this perfect a perfect 3 bedroom home for a family or empty nesters with guests who enjoy visiting Fountain Hills from the colder climes! 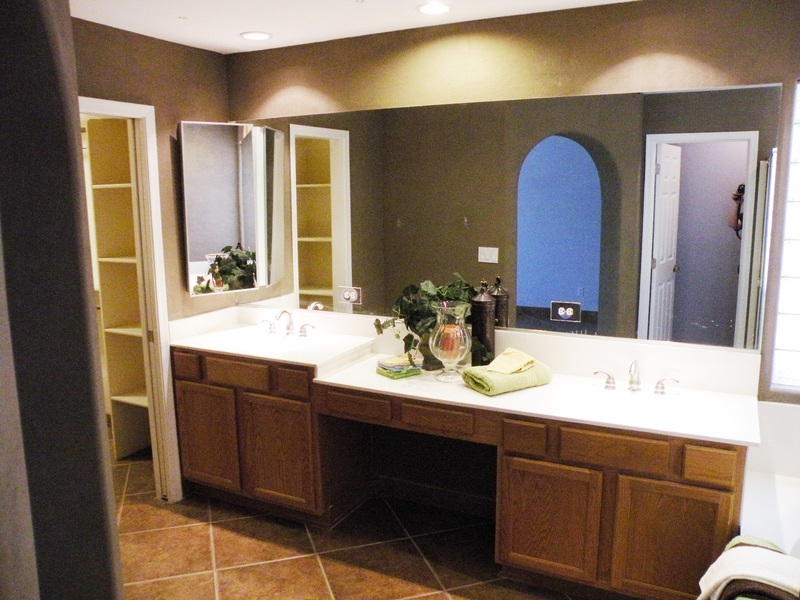 This entry was posted in Homes, Lots & Condos For Sale or Rent and tagged former model home for sale, Fountain Hills Bank Owned Home, Fountain Hills Town Center. Bookmark the permalink.